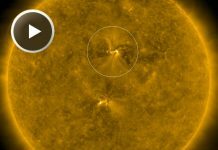 Earth’s magnetosphere was briefly cracked after a powerful geomagnetic storm propagated from the sun last year. 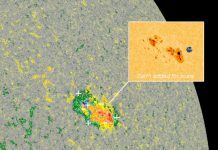 The blast was registered in June 2015 after a huge cloud of plasma released from the Sun struck the Earth at a speed of some 2.5 million kph. Our protection from external radiation shortly disappeared in 2015, based on the analysis of data from India’s GRAPES-3 muon telescope, the world’s most sensitive cosmic-ray monitoring system. The impact of the solar storm caused the Earth’s magnetic shield to compress, leading to massive geomagnetic atmospheric anomalies. 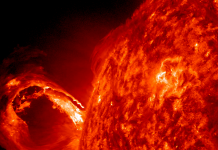 The powerful blast of solar energy lasted for over two hours. Storm effects included aurora borealis and radio signal interruptions across several continents. The new data indicate a transient weakening of Earth’s magnetic shield, and may hold clues for a better understanding of future superstorms that could cripple modern technological infrastructure on Earth, and endanger the lives of the astronauts in space. 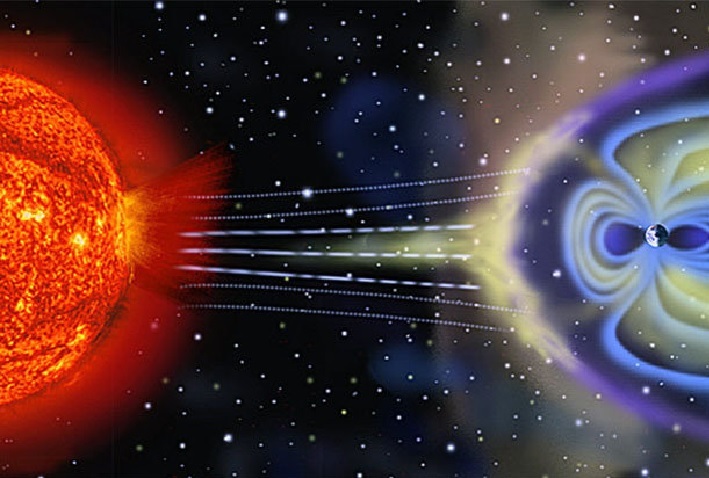 The magnetosphere, the Earth’s energetic protecting shield, prevents the highly-dangerous radiation of the Sun from destroying life on the planet. However, powerful geomagnetic storms can deform the magnetosphere, allowing energetic particles to reach the surface.